Chipotle Mexican Grill (NYSE:CMG) is a high flying growth stock that’s exploded from $50/share to over $400/share in less than three years. It’s eye-catching that a burrito restaurant is one of the few stocks trading that high. As a former collegiate swimmer, burritos were one of my staples. However, I usually opted for the $5 varieties instead of an $8 Chipotle monster. It added up when I was consuming a couple hundred burritos a year. Chipotle Mexican Grill has created a successful image that adheres to a “less is more” mindset, as the menu is limited, much like In-N-Out Burger. However, this is one of those instances when I like the product but not the stock. This rocket-like ascent might be plateauing. CMG has been stalled around $400 for the last few months. Analysts expect sales growth to slow from this quarter’s earnings announcement on Thursday July 19, but they still expect it to be strong. CMG’s EPS performance from the last four quarters is mixed: 2 negative and 2 positive surprises, ranging from 1-2%. The most compelling development this year for investors is that insiders are selling significant amounts of their shares. During Q1 2012, six executives and directors sold 373,750 shares, amounting to $145.8 million. This sales activity is greater than any quarter in the preceding five years. The beneficial ownership of executives and directors has fallen by an average of 51.3% as a result of divestitures since 01/06/12. You’ve probably heard the saying “insiders can sell for many reasons but they only buy for one,” meaning insider buying can precede a stock price increase whereas insider selling does not consistently precede a decline in price. However, looking at the character of this stock, this insider activity is worth further consideration. Let’s set the scene with some fundamental analysis. 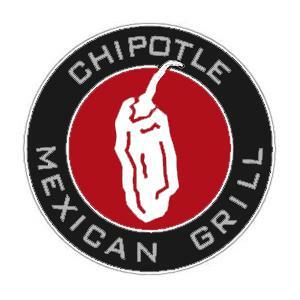 Chipotle Mexican Grill trades at 53 times earnings and 35 times forward earnings. Depending on your investing style, these high P/E ratios could be justified by the strong EPS growth estimates: 30% for 2012, 24% for 2013, and 22% over the next five years. However, from a fundamental perspective, CMG is due for a correction and the insiders may have given us the tip we’ve been looking for. Looking at the stock’s history, it hasn’t had any major hiccups. It’s shown strong growth over the last 5 years. But now that insider selling is much higher than it’s ever been and analysts are warning of decelerating growth, it’s worth reevaluating your position in Chipotle Mexican Grill or even considering entering a short or put position ahead of earnings. Note: This article is written by Walter from Sabrient System and published at Sabrient’s website.